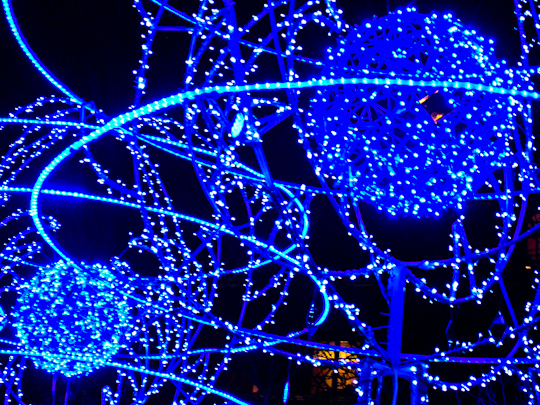 You still have time to catch the Christmas Market on the Champs-Elysées! From 11am until 10:30pm through January 3rd, you can do that last minute Christmas shopping, eat pretzels and crêpes and drink vin chaud (hot wine) to your heart’s content along the famous avenue between metros Champs Elysées-Clemenceau and Concorde. 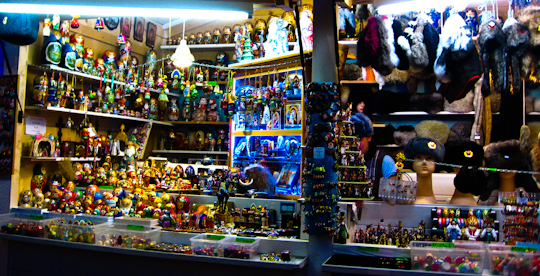 Over 160 white cabins line the north and south sides of the avenue, selling handcrafted gifts, not-so-handcrafted gifts, food, drink and more. Christmas music plays from the speakers and the trees lining the sidewalks are decorated with lights. 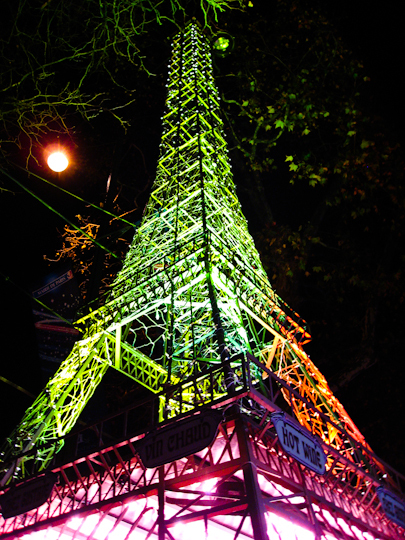 There are games for children and even games for adults: one hot wine station has set up an Eiffel Tower bar. Even if you don’t buy anything, it’s a good place to soak in a little (free) Christmas cheer. 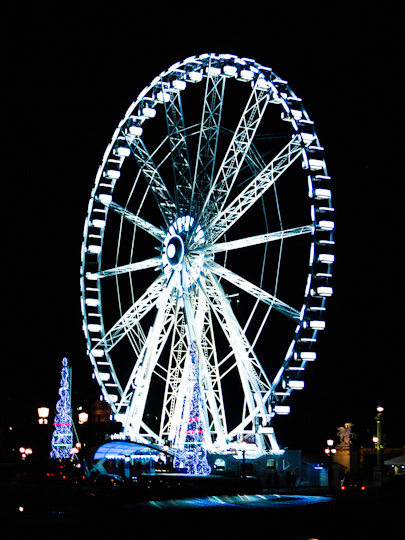 And you can always take a spin on La Grande Roue (yes, Place de la Concorde’s Ferris wheel is back!) or make a side trip up the Arc de Triomphe while you are in the neighborhood!